Pope Innocent VI (Latin: Innocentius VI; 1282 or 1295 – 12 September 1362), born Étienne Aubert, was Pope from 18 December 1352 to his death in 1362. He was the fifth Avignon Pope. Tomb of pope Innocent VI à the Chartreuse Notre-Dame-du-Val-de-Bénédiction (fr). Étienne's father was Adhemar Aubert (1260-? ), seigneur de Montel-de-Gelat in Limousin province. He was a native of the hamlet of Les Monts, Diocese of Limoges (today part of the commune of Beyssac, département of Corrèze), and, after having taught civil law at Toulouse, he became successively Bishop of Noyon in 1338 and Bishop of Clermont in 1340. On 20 September 1342, he was raised to the position of Cardinal Priest of SS. John and Paul. He was made cardinal-bishop of Ostia and Velletri on 13 February 1352, by Pope Clement VI, whom he succeeded. Etienne was crowned pope on 30 December 1352 by Cardinal Gaillard de la Mothe. 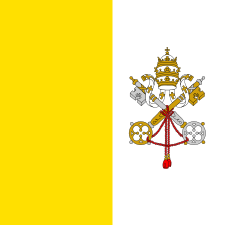 Upon his election, he revoked a signed agreement stating the college of cardinals was superior to the pope. His subsequent policy compares favourably with that of the other Avignon Popes. He introduced many needed reforms in the administration of church affairs, and through his legate, Cardinal Albornoz, who was accompanied by Rienzi, he sought to restore order in Rome, where, in 1355, Holy Roman Emperor Charles IV was crowned with his permission, after previously having made an oath that he would quit the city on the day of the ceremony. It was largely through the exertions of Innocent VI that the Treaty of Brétigny (1360) between France and England was brought about. During his pontificate, the Byzantine emperor John V Palaeologus offered to submit the Greek church to the Roman See on condition of assistance against John VI Cantacuzenus. The resources at the disposal of the Pope, however, were all required for exigencies nearer home, and the offer was declined. Most of the wealth accumulated by John XXII and Benedict XII had been lost during the extravagant pontificate of Clement VI. Innocent VI economised by cutting the chapel staff (or the "capellani capelle") from twelve to eight. Works of art were sold rather than commissioned. His pontificate was dominated by the war in Italy and by Avignon's recovery from the plague, both of which made draining demands on his treasury. By 1357, he was complaining of poverty. Innocent VI was a liberal patron of letters, and, if the extreme severity of his measures against the Fraticelli is ignored, he retains a high reputation for justice and mercy. Although, St. Bridget of Sweden denounced him as a persecutor of Christians. He died on 12 September 1362 and was succeeded by Urban V. Today his tomb can be found in the Carthusian monastery in the Chartreuse du Val de Bénédiction in Villeneuve-les-Avignon. 1 2 3 Coulombe, Charles A. (2003). 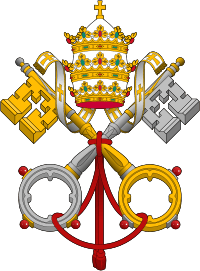 Vicars of Christ: A History of the Popes. Citadel Press. p. 298. ISBN 9780806523705. 1 2 Musto, Ronald G. (2003). Apocalypse in Rome: Cola di Rienzo and the Politics of the New Age. University of California Press. p. 308. ISBN 9780520233966. ↑ Conrad Eubel, Hierarchia catholica Tomus I, editio altera (Monasterii 1913), p. 36; p. 18. 1 2 McBrien, Richard P. (2000). Lives of the Popes. HarperCollins. p. 242. ISBN 9780060878078. 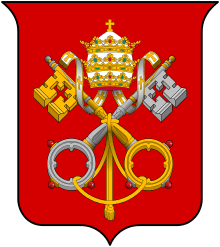 Wikimedia Commons has media related to Pope Innocent VI.